The main summer harvest is almost over and the larder and freezer are bursting with the fruits of our labour. This week we are continuing the big autumn clear up as crops begin to fade and litter the ground. 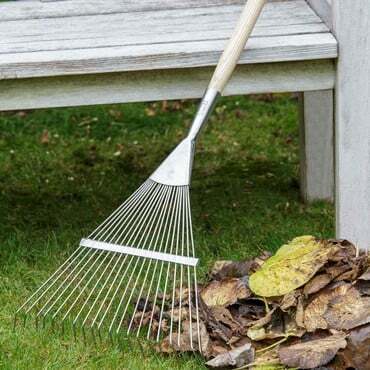 Spending a little time each day clearing away plant debris keeps the garden as neat as possible and avoids a huge clear up later on. The leaves all around the garden are falling as fast as we can clear them. 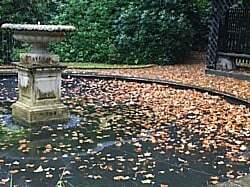 The lime tree at the back of the main pond is a stunning colour but when you have cleared the leaves and arrive the next day to find a golden carpet has fallen overnight, it can be somewhat soul destroying! The leaf rakes, grabs and wheelbarrows are in constant demand. 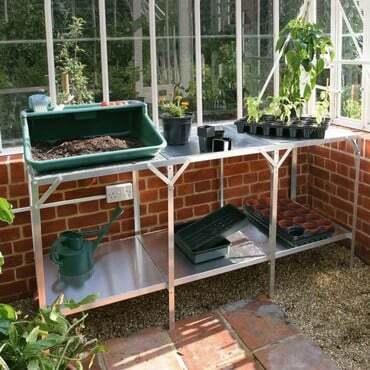 In the greenhouse we have cleared away old tomato plants from the staging and set up a propagator. This week we will be taking cuttings of plants from the ornamental gardens with a view to filling out the garden next year. We have a stunning purple salvia in two of our pots that has put on a beautiful display this year and we would like to fill more pots with it next year. The cuttings should root quite quickly at this time of year and be good size plants by next summer if overwintered in the greenhouse. Our seed garlic has arrived so this week we will be sowing it into trays to start it off in the greenhouse before being planted out in a few weeks time. We will also be sowing broad beans into rootrainers with a view to getting an early crop next year. It’s a busy time to be a gardener!